It was not to be for FC Barcelona Lassa in the Final Four in Cologne. Xavi Pascual's team have gone out in extremis in the Final Four, losing to Macedonian side Vardar and thus saying goodbye to their hope of clinching another Champions League. A great goal from Cindric in the last second of the game means that Xavi Pascual's side are out after a hard fought semi-final. The early signs were good for Barça with a penalty from Valero Rivera giving them a three goal lead at 8-5 in the 13th minute. Nevertheless, the Macedonian keeper Sterbik helped his team to a one goal lead at half time (13-12) with a series of excellent saves. 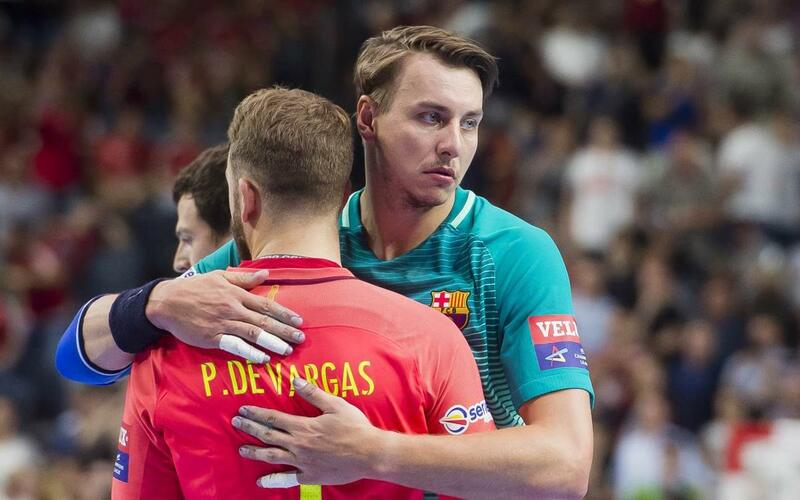 In the second half the goalkeepers continued to dominate with Vardar man Sterbik keeping Barça at bay and allowing his side to take a 20-18 lead. Two goals from Lazarov, however, helped put the blaugranes back ahead at 23-22 but Vardar brought it back to 25-25 with just seconds remaining. Unfortunately, a goal from Cindric at the death ended Barça's hope of another Champions League and means they will now face Veszprem in the third/fourth place play off.